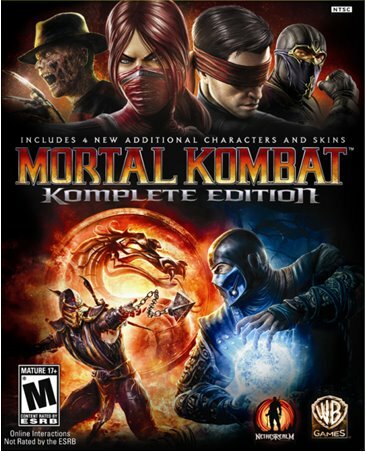 Mortal Kombat Komplete Edition delivers the critically acclaimed game, all previously released downloadable content (DLC), plus digital downloads of the 2011 release of Mortal Kombat: Songs Inspired by the Warriors album with a bonus track, and the 1995 Mortal Kombat film on the PlayStationStore or Xbox Live Zune. 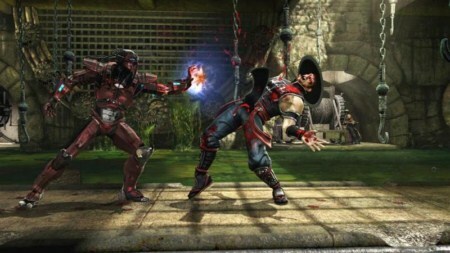 The DLC includes fan-favorite warriors Skarlet, Kenshi and Rain, as well as the infamous dream stalker Freddy Krueger. The game also offers 15 Klassic Skins and three Klassic Fatalities (Scorpion, Sub-Zero and Reptile). Mortal Kombat: Songs Inspired by the Warriors is a collection of electronic music inspired by the game and is executive produced by JFK (of the DJ/ production duo MSTRKRFT and Death From Above 1979). - Graphic details, never before possible are presented with the most sophisticated graphics engine in MK history. - By returning to its classic 2D fighting plane, mature presentation,and up to 4 player tag-team kombat; Mortal Kombat introduces an all new fighting mechanic that?s both accessible and provides the depth that fighting game players look for. - Mortal Kombat offers the deepest story mode of any fighting game;Players are taken back to the original Mortal Kombat tournament where they try to alter the events of the past in an attempt to save the future. - Additional:Windows XP and DirectX 9.0c and below not supported.